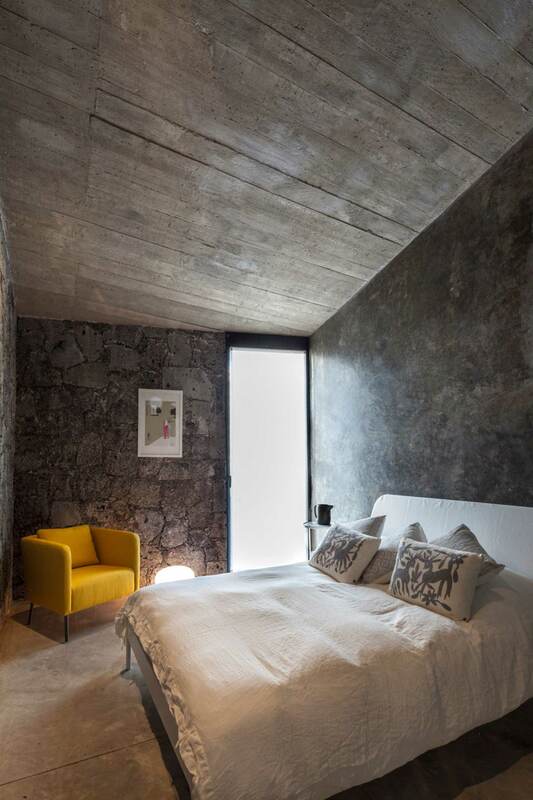 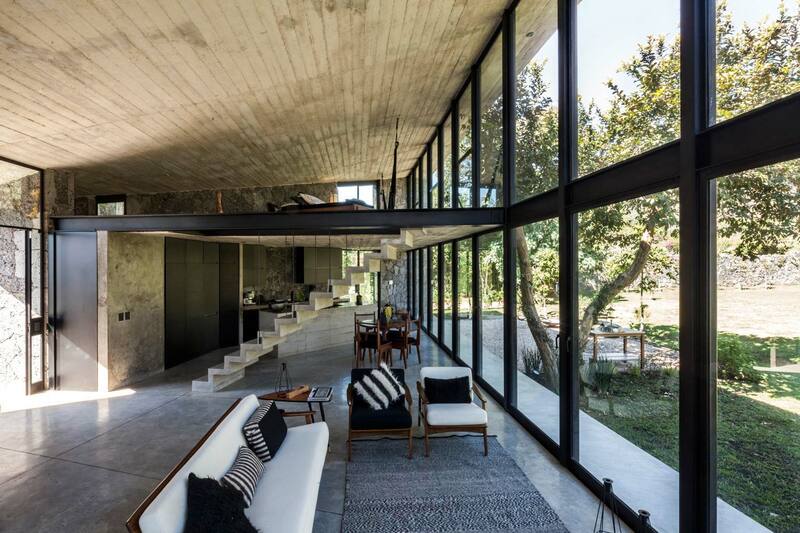 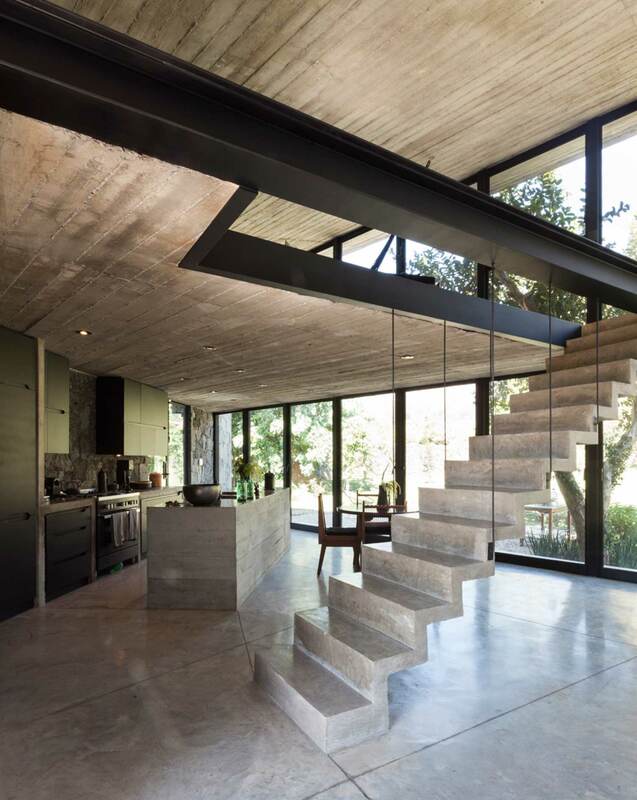 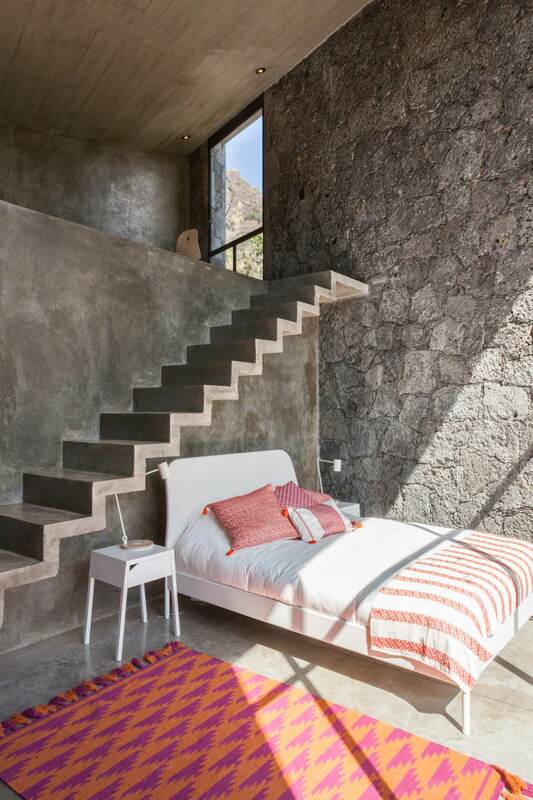 The MA house is located on the outskirts of Tepoztlán, a small picturesque village located at 60 Km from Mexico City, Tepoztlán is well known for its sunny days, a comfortable temperature all year long, and its lush vegetation. 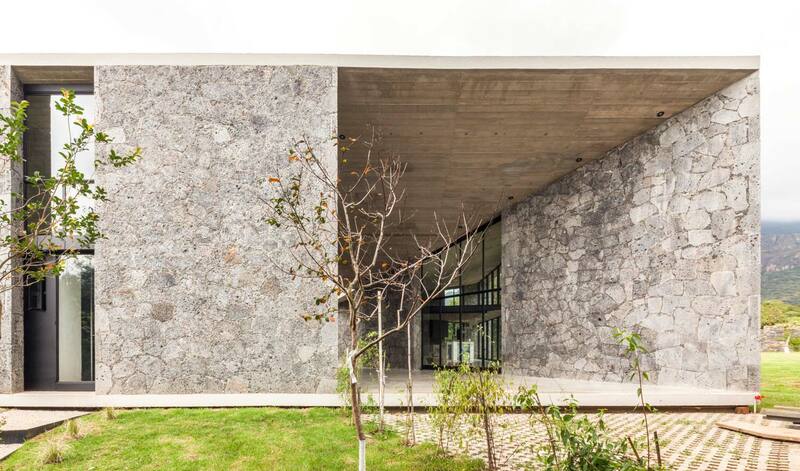 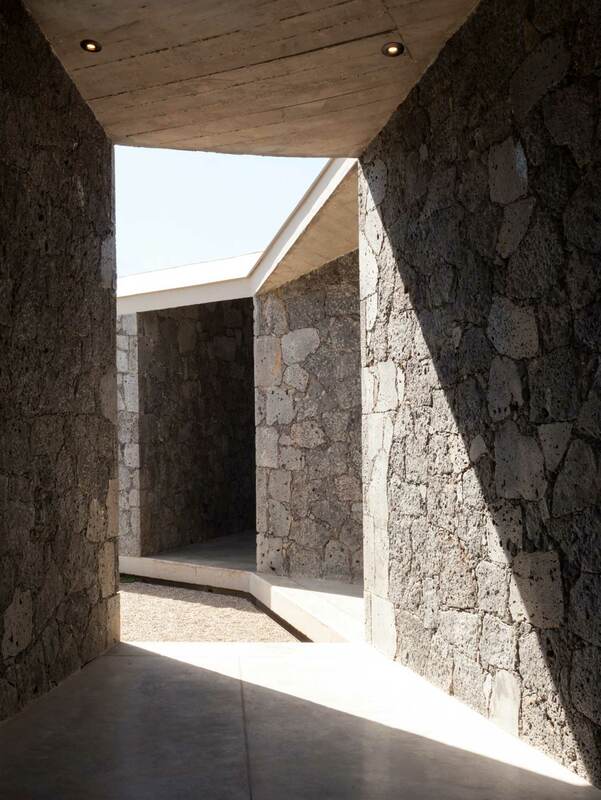 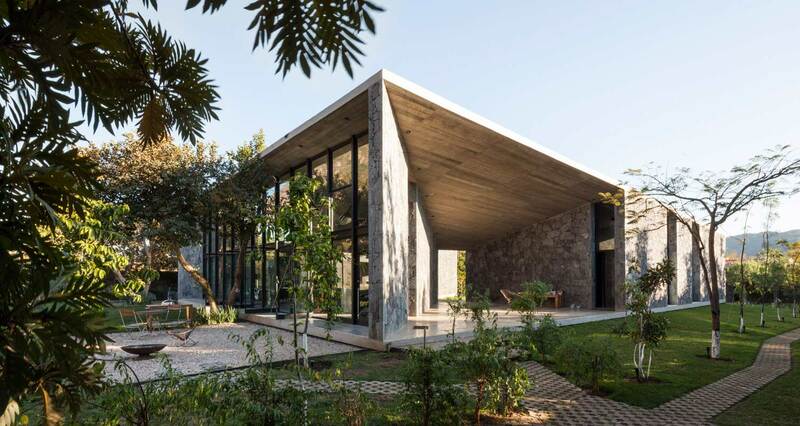 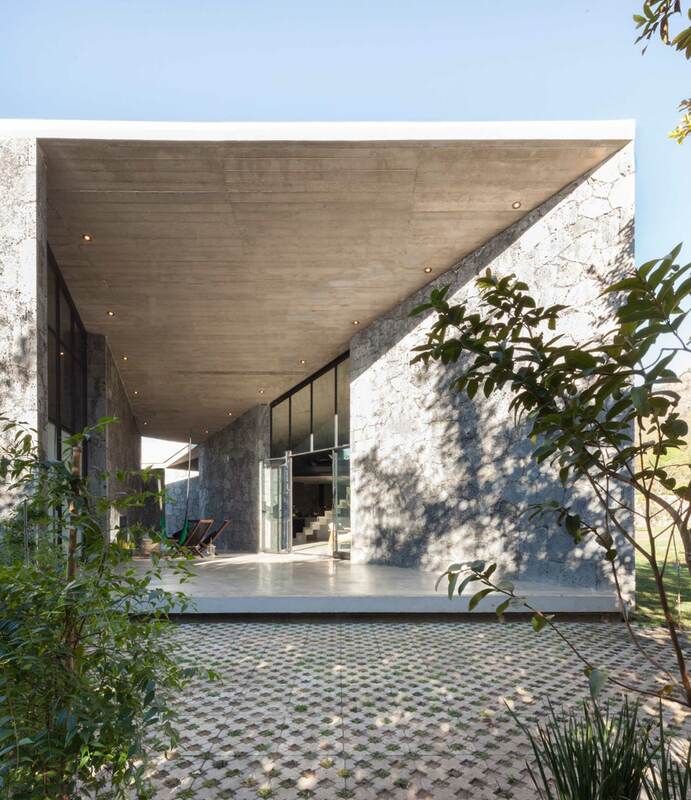 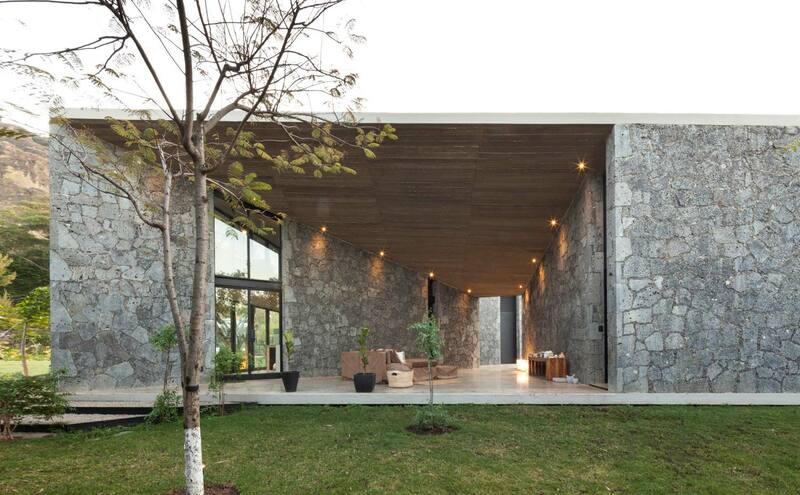 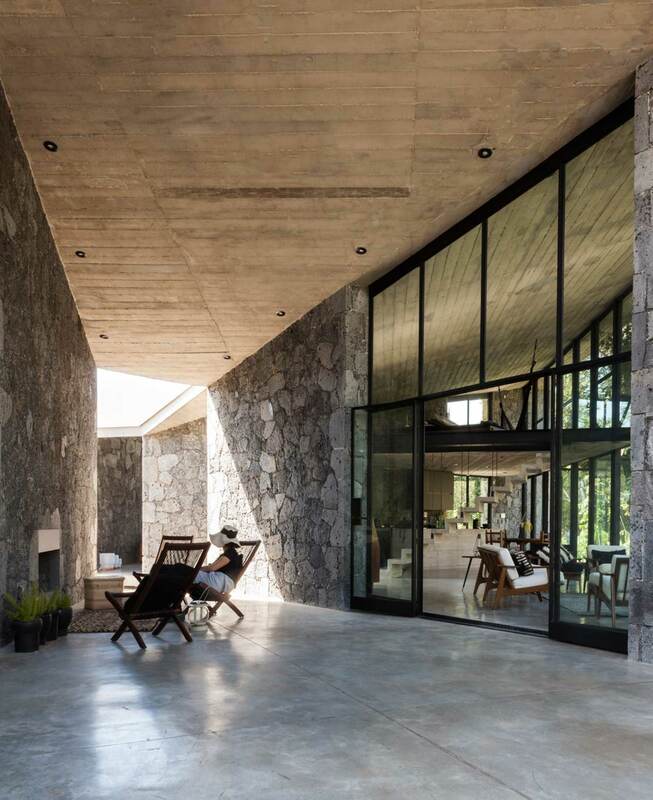 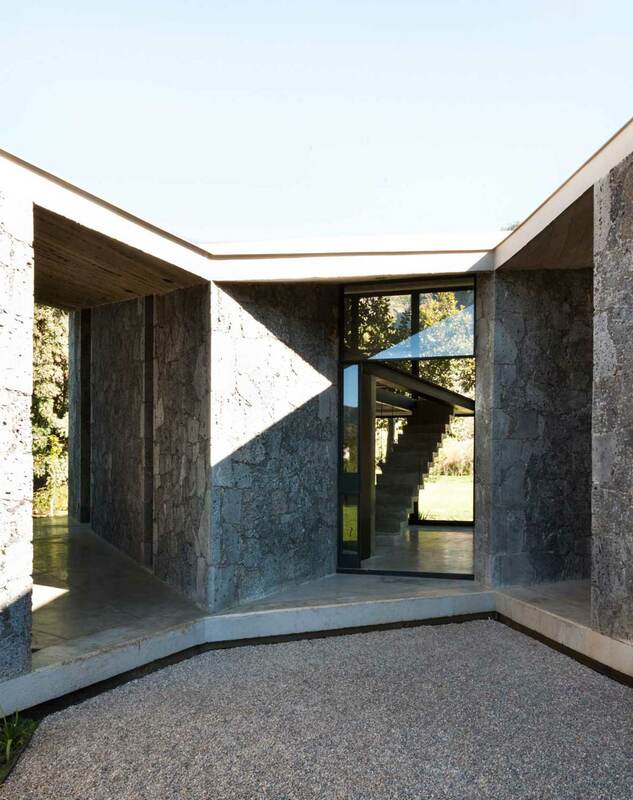 Designed by Cadaval & Solà-Morale, the house is drawn as the addition of three pavilions unified by a unique roof, generating two covered patios; the roof is continuous, and rests on top of the structural stone walls that are the main asset of the house, the texture, a rough and imposing material that builds up the space, and reinforces the views and the power of nature. 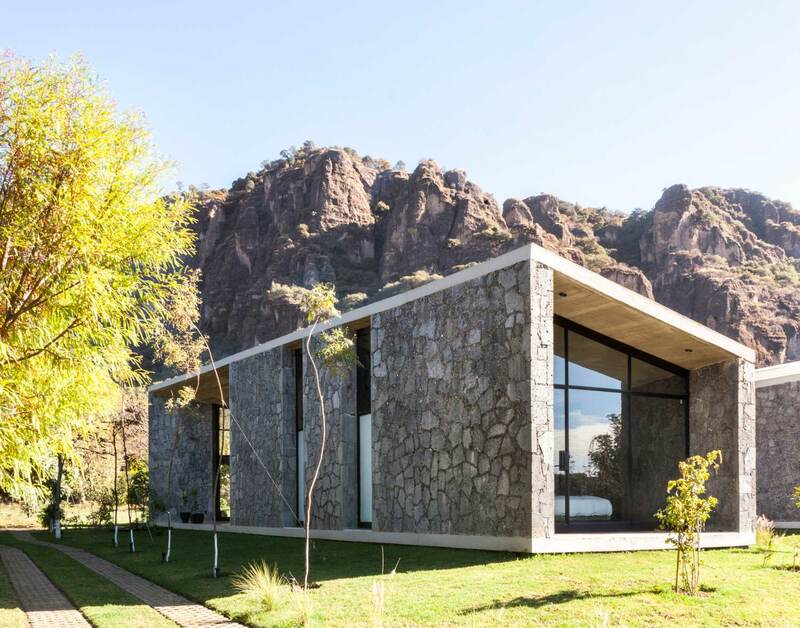 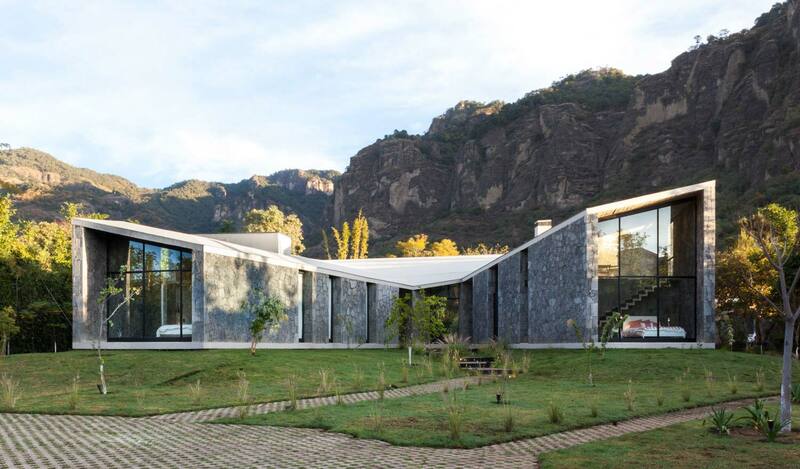 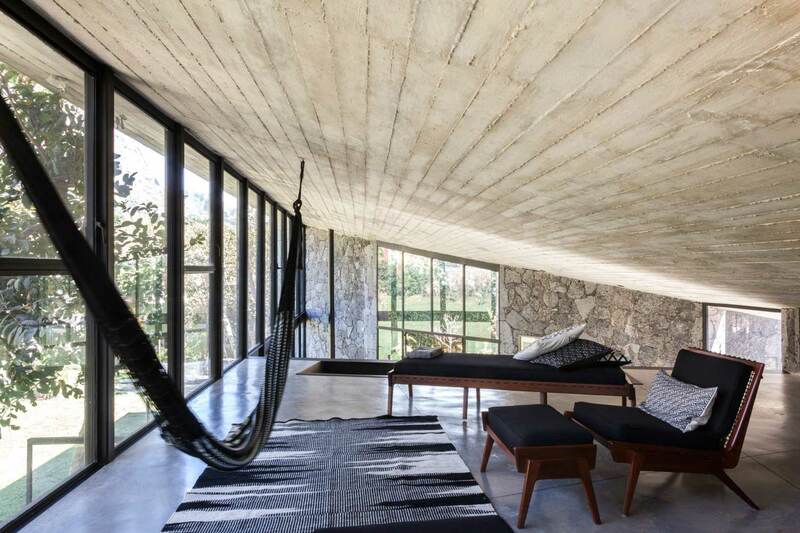 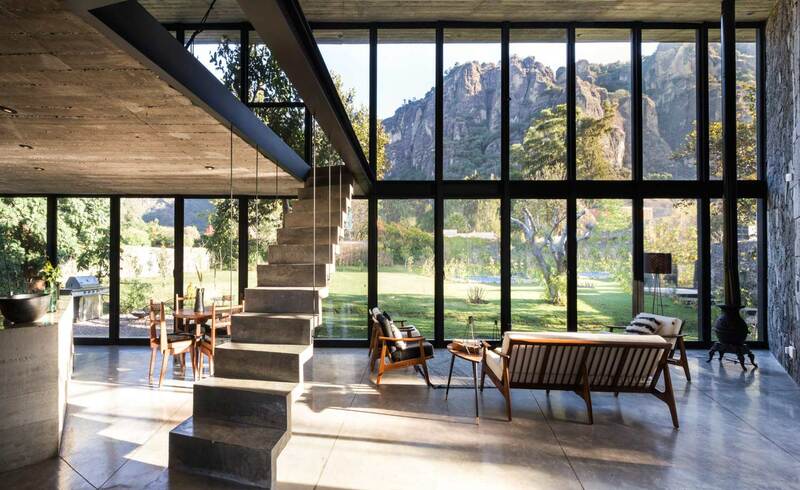 The house is a sequence of open and ever-changing relations with the nature; and always, as a backstage, the two immense mountains of Tepoztlán.